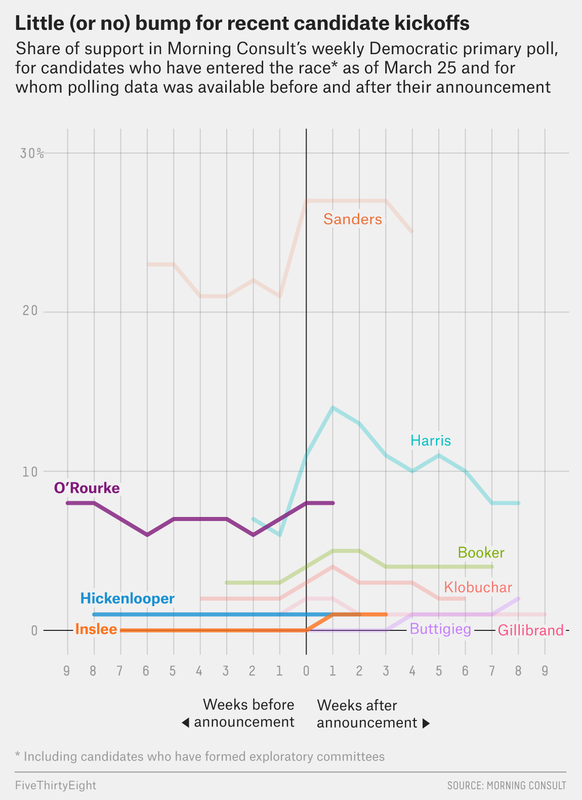 Beto O’Rourke has received a lot of media attention but hasn’t seen a big polling pump. Specifically, the polls are conducted each week from Monday through Sunday among thousands of registered voters “who indicate they may vote in the Democratic primary or caucus” in their state. Julian Castro, John Delaney, Tulsi Gabbard and Elizabeth Warren. Joe Biden, Steve Bullock and Terry McAuliffe.